the MCTA joined the AEPJ and they have a specific itinerary related to local Jewish local. Established in 1992 by the Girona City Council, the Girona Provincial Council and the Autonomous Government of Catalonia. The Patronat is responsible for the physical and cultural restoration of the Jewish heritage of Girona, including the renovation, revitalization and promotion of the historic Jewish Quarter, which is named the ‘Call’. Two of the main bodies are The Museum of Jewish History and the Nahmanides Institute for Jewish Studies. B’nai B’rith Europe is a Jewish association that is present in 28 countries. B’nai B’rith means “Son of the Alliance”. The concept of alliance is a key concept in the Bible and in Judaism - and it has non-governmental organisational status. The association’s role is to fight racism, xenophobia and anti-semitism; to support the State of Israel; to help the needy; to promote Jewish identity; to strengthen knowledge of the presence of the Jewish community in Europe through culture and heritage and finally, to encourage and train young Jewish adults for leadership in Jewish communities. Israeli House was opened in Tbilisi on November 2nd, 2013. The House was opened under the auspices of the Israeli Knesset, and founded by Mr. Istik Moshe (the first representative of the World Jewish Agency “Sokhnut” in the 1990’s when the “Great Aliyah” started from the post-Soviet countries). Its goal is to achieve solidarity through public diplomacy (Hasbara) and enhance the cooperation between Israel and friendly states (among them Georgia). At the Israeli House, lectures on topics related to Jewish Culture and Heritage are conducted regularly. There are also meetings, exhibitions, presentations and seminars organised in relation to various fields, such as culture, the economy, business, medicine, new technologies, political life and many more. Lithuanian Jewish (Litvak) Community is an association of seven regional/local communities and twenty other Jewish organisations active in Lithuania. The aims of LJC are to bring together all the Lithuanian Jews; to defend and look out for their interests in Lithuania and abroad; to preserve and celebrate Jewish traditions; cultural and historical heritage; to keep the memory of victims of the Holocaust alive; to promote tolerance and fight anti-Semitism and to build and nurture various relations and connections with Jewish and Litvak organisations and individuals all over the world. The association “Journées Européennes de la Culture et du Patrimoine Juifs - France” (JECPJ-France) is dedicated to promoting and preserving Jewish heritage and to disseminate information about French Jewish culture. For 15 years, JECPJ-France has contributed to the European Day of Jewish Culture in various French Regions (Alsace, Centre, Lorraine, Nord-Pas de Calais, Paris, Provence-Côte d’Azur, Sud-Ouest), welcoming each year thousands of visitors from all backgrounds and beliefs. JECPJFrance is also part of the European program which is developing the “Jewish Heritage Routes”. Ministry of Culture and Tourism Azerbaijan (MCTA). Red de Juderías de España (Network of Spanish Jewish Cities) is a non-profit public association created in 1999 with the goal of protecting the urban, architectural, historical, artistic and cultural Sephardic heritage of Spain. It is a cultural and tourist network that brings together 19 member town (Ávila, Barcelona, Cáceres, Calahorra, Córdoba, Estella-Lizarra, Hervás, Jaén, León, Lucena, Monforte de Lemos, Oviedo, Palma, Plasencia, Ribadavia, Segovia, Tarazona, Toledo and Tudela). Each of these towns have highlighted their ancient Jewish heritage and manage a programme of events, tours and training. The Portuguese Network of Jewish Quarters - Routes of Sepharad is a public association governed by private law, with the aim to maintain the urban, architectural, environmental, historical and cultural aspects of Jewish heritage. Thus, the Portuguese Network of Jewish Quarters, founded in March 17th 2011, aims to combine the recovery of history and heritage with the promotion of tourism, which will in turn work to reveal a strong component of the Portuguese and peninsular identity. The UCEI is a non-profit organisation representing 21 Jewish communities in Italy, whose long presence in the country have contributed to enriching its cultural, artistic and social heritage. The main purpose of the UCEI is to promote the unity of the Italian Jewish community and ensure its development in religious, spiritual, cultural and social areas. UCEI represents the Jewish community before the State, the Government and other authorities, as well as the general public in all matters regarding Jewish interests. The UCEI recognises that the State of Israel plays a central role in contemporary Jewish identity, and therefore also works to strengthen relations with Israel and represent Italian Judaism within international organisations. CoopCulture is a qualified partner positioned to offer answers and solutions to the increasingly complex needs of a continuously evolving sector, from the perspective of integration between cultural heritage and territory and between culture, tourism and the local economy. With the intention of bringing diverse audiences closer to art, it has developed user paths which are differentiated by language and method, taking advantage of the potentials offered by new technologies. In addition, CoopCulture have paid special attention to local communities - whether focusing on families, young people, children, the elderly or immigrants. The Diputació de Lleida is a county council institution that is related to the town councils of the Region of Lleida, Catalonia. Presided over since 2011 by Joan Reñé, the organisation has joined with the L’Institut d’Estudis Ilerdencs and the Tourism Board to create a project under the title “Perseguits i Salvats”. This project recovers and explores the four itineraries used by 80,000 refugees to escape the Nazis in World War II, and within this 80,000, it is estimated that about 20,000 were Jewish. This initiative coincides with the recovery of the Chemin de la Liberté (liberty road), an escape route that joined the French Department of Ariege with the region of Pallars Sobirà. The route is about 150 km long and is distributed across different regions in the French and and Spanish Pyrenees. The European Day of Jewish Culture In its 19th edition the European Day of Jewish Culture was celebrated throughout Europe from the 2nd of September. The subject matter of this edition, “Storytelling”, invited us to reflect on this important Jewish phenomena. 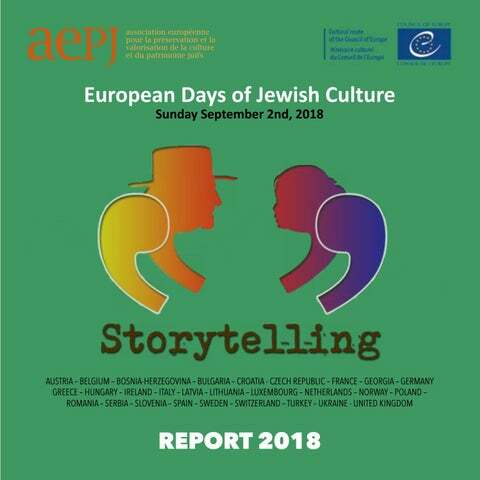 Storytelling is a cuttingedge tool in the dissemination strategies of historical heritage, turning this initiative into a great opportunity to explore different areas of the tangible and intangible heritage of European Jewry. 1. Preserve and present a vast heritage of Lithuanian Jewish culture, which is in the territories of different municipalities, while creating Jewish cultural heritage routes on both a regional and national levels; 2. Encourage regional interests in Jewish culture, traditions and heritage with the aim of promoting visits and presenting objects related to Jewish history; 3. Oral tradition is central to the history and collective imagination of the Jewish people. From the biblical tradition, to the rich local community of folk stories, to the histories of contemporary migrations, these emerge from a world that deserves, and asks, to be explored and discovered. Contribute to both the national and international dissemination of the unique historical, cultural and intellectual heritage of Litvaks. Currently, the Association has 13 members, 8 of them are municipalities and the rest of them are from within public institutions and funds which are working on the promotion of Jewish heritage. Fundatia Tarbut Sighet Culture si Educatia Iudaica was Established in 2014 following the 70th Anniversary of the Jewish May 1944 deportations. In 2014 and 2015, descendants from Sighet – Maramorish Region came from all over the world, gathering to attend a commemoration and celebration. Tarbut Sighet Foundation has put forth two major missions since its establishment; to provide information to all Maramures Jewish generations about the history of the Jews pre- and post-Holocaust and secondly, to produce and stage cultural Jewish programs which aim to teach about the Jewish Heritage and history of the Jews in Maramures pre- and post-Holocaust, whether held at regional high schools, libraries, community centres, theatres or at Jewish synagogues. This will result in a better understanding of the past in order to have a better relationship with local and world Jewry. One of the main goals of FTS is to promote Jewish Heritage in Maramures Region (Northern Transylvania), taking place at high schools, libraries, community centres and theatres, as well as at local city halls etc. The World Jewish Heritage Fund. The World Jewish Heritage Fund, Inc. is a non-profit organization established in 2011. The WJH’s mission is to preserve Jewish heritage worldwide and promote tourism to a variety of sites and cultural events around the world that are of great importance to the continuity of Jewish heritage. WJH stands up for our heritage, giving it back its long-lost voice, in honor of past generations and in favor of those to come. To do so, WJH has developed an integrated ecosystem, bringing together heritage, travel and technology via an innovative, first-of-its-kind platform - reframing the concept of Jewish heritage and adjusting it to the 21st century. The fundamental objective of this European collaboration has been to highlight the diversity and richness of Judaism, with the intention of promoting dialogue, mutual recognition and exchange through conferences, concerts, performances, guided tours and other activities. Today, over a million Jews live in Europe. They are an integral part of multicultural Europe, active participants in almost all aspects of their countries’ civic and public life. Jewish contributions to the arts and sciences continue unabated in Europe. Yet, the memory of the twentieth century still lingers, heightening the need for continued tolerance and mutual understanding between Jewish communities and their neighbours. We are proud to announce that the European Days of Jewish Culture is a growing initiative. Last year, more than 300 cities from thirtythree European countries joined the European Days of Jewish Culture, with a participation of more than 170,000 people. In this 18th edition, the number of visitors increased to 183,183 participants. This success has been made possible thanks to a collective effort including these committed actors: the AEPJ, the National Library of Israel, municipalities, Jewish communities, museums, cultural centres, volunteers, etc. We would like to thank the enthusiasm and efforts of all people involved in the organization and celebration of this important event, and especially all the volunteers that have been contributing to yet another year of success for the EDJC. The European Cultural Routes and the European Route of Jewish Heritage The programme was launched by the Council of Europe in 1987. Its aim was to demonstrate, by means of a journey through space and time, how the heritage of different countries and cultures of Europe contribute to a shared cultural heritage. The Cultural Routes put into practice the fundamental principles of the Council of Europe: human rights, cultural democracy, cultural diversity and identity, dialogue, mutual exchange and enrichment across boundaries and centuries. The Cultural Routes of the Council of Europe are multidisciplinary projects. Each of the Routes certified by the Council of Europe implement innovative activities and projects pertaining to five main priority fields of action: cooperation in research and development; enhancement of memory, history and European heritage; cultural and educational exchanges for young Europeans; contemporary cultural and artistic practice and cultural tourism and sustainable cultural development. It is a model for heritage development based on responsible tourism and sustainable development; promoting synergies between national, regional and local authorities and a wide range of associations and socio-economic actors. In the European Route of Jewish Heritage, certified since 2004 by the CoE, we believe and we follow this approach. We are currently working on relaunching the Route, extending it to new countries. With this objective, we created a scientific committee with experts in Jewish history, management of heritage projects, network management and cultural tourism, to help the managers of the Routes to develop their projects in this framework and to follow this model of work. In addition to integrating the projects into a European network, we offer assistance, support and training, as well as creating a framework to explore transnational collaborations among the actors that participate. Promotion and development of Europeâ&#x20AC;&#x2122;s Jewish historical and cultural heritage. i) To serve as an organisational umbrella to welcome, promote, train and help develop unique and excellent Jewish cultural routes and programs around Europe, in the frame of the Cultural Routes of the Council of Europe. ii) To create a community and network among the managers of these Jewish cultural programs to help develop their programs, based on responsible tourism and sustainable development, to offer training in the field of Jewish cultural tourism, to exchange good practices and to promote the development of transnational programs. iii) To promote the programs of the European Jewish Heritage Routes for individuals and groups of tourists and institutions interested in having a meaningful Jewish experience while traveling in Europe. their own vision and realisation of an annual theme, from the scope of their community, bringing new approaches, debates and views to their own territory and history. We believe that this 19th edition was particularly important. Due to the rise of the extreme right in Europe, we are faced with a serious threat. In reaction to this rise of antiSemitism, the EDJC acts as a strong defender of diversity and coexistence. We see the promotion of Jewish cultural heritage, which is an integral part of European history, as a key factor in the prevention of antiSemitic stereotypes and prejudices taking root. Our efforts will increase resilience against a growing intolerance. The EDJC is a continuation of the vision initiated in 1999 by the AEPJ (The European Association of the Preservation and Promotion of Jewish Culture and Heritage), a vision to actively involve “Heritage Communities in the promotion of cultural heritage across the European continent”. In line with the Council of Europe and the already mentioned Faro Convention of 2005, which advocates a new practice of shared heritage management, the focus of this initiative is not so much on the assets themselves, but the potential of heritage (material and immaterial) of society as a whole. AEPJ and National Library of Israel Cooperation Thanks to a cooperation agreement between this institution and the AEPJ, Since 2016 the European Day of Jewish Culture has the support of the National Library of Israel. In previous editions, the National Library of Israel has produced a series of materials and resources made available to all coordinators, to deepen the quality of the contents and, at the same time, increase the exhibition offer. In 2017, the National Library of Israel produced a temporary exhibition integrated by different panels dedicated to “Diaspora”. For this edition, whose central theme was “Storytelling”, the National Library of Israel chose several unique stories from its vast collections to inspire, teach and reveal the beauty of our history and our heritage. Each story was turned into a short film featuring an accomplished storyteller and was accompanied by a group activity that was directly related to the messages behind the story. The story of “The Demons in the Basement,” as told by Dr. Yoel Finkelman, Haim and Hanna Salomon Judaica Collection Curator at the National Library of Israel, comes from the book called Kav HaYashar by Rabbi Tzvi Hirsch Kaidanover of Frankfurt. The story comes from a chapter in which he explains the dangers of cavorting with demons. First published in 1705, Kav HaYashar is a popular volume of Jewish ethics. Its name literally means “The Straight Line.” The following story describes a serious problem and its bittersweet conclusion, with a bit of humor sprinkled throughout. the professional storyteller, Lisa Bloom, tells of one of the most famous Genizahs in the world. The Cairo Genizah was unearthed in a synagogue in Cairo. The Genizah had remained hidden and untouched for centuries until it was rediscovered. ger and teaches us about an important object housed in the National Library of Israel that tells the tale of the people who took that trip, of those who survived the journey and of those who unfortunately did not. main radio (ORF Burgenland). In Hohenems, the Jewish Museum Hohenems presented “Stories behind Objects”, a public guided tour through the permanent exhibition. In 1617 Earl Caspar signed a writ of protection for a Jewish community, who was yet to settle in Hohenems. Today this object is part of the permanent exhibition in the Jewish Museum of Hohenems and has an interesting story to tell. During the tour through the museum and through the story of the Jewish community of Hohenems the visitors took a closer look at documents and unraveled their (hi)story. A total of 15 activities in 12 cities and towns, attracting about 490 visitors. language, literature and culture at the Institute for Jewish Studies of the University of Antwerp gave a lecture on Yiddish storytelling. “He who is browsing Yiddish literature, is walking through all the landscapes of the world”, was the theme that professor Gybels had chosen for his lecture. After an introduction about the origins and the history of Yiddish as a language, a detailed overview of Yiddish literature was given, starting with Rabbi Nachman of Bratslav (1772-1810) and ending with the Nobel Prize winner Isaac Bashevis Singer (1904-1991). There were numerous sound fragments in which Yiddish writers and poets read from their own work. During the question round after the lecture and at the reception that closed the evening, it turned out that many people were interested in Yiddish and that several of them even spoke the language. A total of 7 activities in 2 cities, attracting about 600 visitors. that it always has a topic that is the same for all European countries. This year’s topic was Storytelling, and the exhibition of Albert Avi Albahari is just that storytelling. Albert Avi Albahari wrote a book in 2005 about ten lost years. After the book, he started working on ceramic sculptures as well. Albahari tells his life story, from taking his parents to Jasenovac, rescuing, hiding in Split, arriving in Israel, growing up, creating family and memories as well as some recent encounters with Sarajevo. There are no sculptures at the exhibition in Sarajevo, but the author took photos of his sculptures and exhibited them instead. “Those ten years are the period when they separated me from my mother in Sarajevo back in 1941 until my arrival to kibbutz in Israel in 1951,” said Albahari. The exhibition was moved to the gallery “Novi hram” and it was opened for visitors until September 17. A total of 3 activities in 1 city, attracting about 315 visitors. devastated, and along with us, our new friends, the Almogs, had to leave again, and reorganise their life one more time. There was no choice- we had to follow the order. On the day of our departure, uniformed officials came to our house and sealed the front door with a red wax seal. To this day, I feel the heat of the melted read wax burn my heart. The suffering , misery and humilation of the thousands of Jews, expelled from their homes has been told over and over again. But we were spared the hell of the crematoriums that annihilated 6 millions of our brothers from Europe. Amin to that!” The activity was received with great interest by the audience. The European Day of Jewish Culture was a very successful event, attended by a lot of non-Jewish visitors, who were extremely interested in learning new things. A total of 9 activities in 1 city, attracting about 300 visitors. music by David Danijela. The guests watched a short film called “Storytellingate” and visited the permanent exhibition of Philip Kohn’s “Five Hundred Jews in Rijeka”. Rina Brumini, a local historian, presented the Jewish community’s publication “Jewish Community in Rijeka”. Sponsors of the event were the City of Rijeka and the County of Primorje-Gorski Kotar, in cooperation with the Italian Association of Associazione Amici di Israele Gorizia. 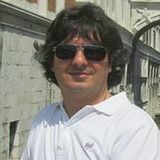 The media followed everything with great interest, and both Italian and Croatian local newspapers and internet portals reported about it for five whole days. In Zagreb, the EDJC’s opening was celebrated with great interest and anticipation. The Open Doors Day was held on Sunday, September the 2nd, in the Jewish Municipality of Zagreb, and was a complete success. The Jewish Community set up several events. Activities started on September the 2nd, with a guided tour of the permanent exhibition of the Jewish Museum in Zagreb. The Jewish Community Bet Israel organized a set of lectures: “Diaspora in the context of Jewish and Croatian experience” by Tuga Tarle, “Jewish writer in the Diaspora and yearning for life” by Jasminka Domas and “Sephardic Diaspora in the Caribbean” by Dr. Jagoda Vecerina. Finally, they also presented an exhibition about the artist Delphi Morpurgo. In the afternoon, the Jewish Community also organized an opening of the exhibition called “Ina Drutter vs. Oskar Herman” at the Kranjcar Gallery, followed by a concert with Tamara Obrovac and Matija Dedic. Activities then resumed at 9pm with a cocktail party. The European Day of Jewish Culture and Heritage, which marks the first Sunday of September every year, represents a one day program for the Zagreb cultural public, featuring visual and musical excerpts. In the renowned Kranjcar Gallery works were exhibited by Jewish artists, Oscar Hermann and Ine Drutter, and also the organizers held a concert by the duo Iva Ljubičić - Kosjenka Turkulin who performed the works of Alfiy Kabilj, Gershwin, Mendelssohna and Piazzolla. In Zagreb, the European Day of Jewish Culture and Heritage was promoted by the Council for National Minorities of the Republic of Croatia, the Representative of the Jewish National Minority of the City of Zagreb and the Kranjcar Gallery. Also on Sunday, the 3rd September, at the Hungarian Institute of Zagreb took place a concert called “Songs of the Jewish Diaspora” (by Zrinka Posavec, vocalist; Bruno Philipp, clarinet; Mario Igrec, guitar; Kristina Bjeloplavic Cesar). A total of 11 activities in 4 cities, attracting about 750 visitors. On the occasion of the European days of Jewish Culture 2018, activities were organized in various Czech cities. The Jewish Community of Brno set up several events. Activities started on September 2nd, with a guided tour at the Jewish cemetery in Brno, led by Katerina Suchánková from OVK ZMP. On the 11th of October, the Jewish Community in Olomuc also organized a performance called “A thousand years, a thousand fates, a thousand relationships, one city - Almica - Olmütz – Olomouc”, led by the storytellers Justin Svoboda and Markéta Holá. During the Days of Jewish Culture in Mikulov on the 20-23th of September 2018, a dance and musical performance, lecture, commented tour, Jewish cuisine tasting were visited. The synagogue in Úštěk offered a photo exhibition of Martin Lazarovič - ornithologist, guide and photographer of nature. The Jewish Town House, in Boskovice, presented an exhibition called “Jews in Gulag”, which showed the research conducted by the Institute for the Study of Totalitarian Regimes, based on interviews with witnesses and newly discovered NKVD documents. On Friday 16th there were a discussion with the authors in the Jewish Town House. The Old Synagogue in Pilsen organized a concert by the Chamber Orchestra HARMONIA PRAGA, which took place within the Music Festival in the synagogues of the Pilsen region. A total of 6 activities in 6 cities, attracting about 450 visitors. sic, book exhibitions, book fair (MAHJ Paris) and food tastings. Not to mention more than thirty openings to the public of synagogues and cemeteries, most often associated with guided tours or conferences, especially in Alsace and Lorraine, but also in Ile de France (Fontainebleau) and Marseille where a conference retracing the history of the Great Synagogue gathered 500 people. A special mention should be made to the digital world: the Alliance Israélite Universelle Library has put online a “digital box of tales” within its virtual library especially for the EDJC framework. in many ways, highlighting in turn the history of specific Jewish communities, the life of emblematic figures of the French Jewish community (Simone Veil ...), family or individual itineraries, often unknown episodes of contemporary Jewish history or the specificity of the great Jewish storytellers. By connecting a large audience to the Jewish memory, the 2018 EDJC has exhibited a future for the Jewish culture in France. The 2018 session of the Georgian EDJC was a great success. On the 9th of September 2018, in Tblisi Israeli House, in cooperation with AEPJ and Georgian Ministry of Culture, they organised several activities at the National Library of the Parliament of Georgia. The event started in an official ceremony with the Georgian Government, the Council of Europe and Israeli Knesset representatives celebrating EDJC for the third time in Georgia. The event was opened by the head of Israeli House, Isik Moshe. He talked about the Israeli House activities. Isik said that the EDJC is not only about tourism but is an important instrument to build bridges between Georgia, Israel and the Jewish World. Moreover, Lela Tsitsuashvili, professor of Art at the Georgian National Museum, presented a special website depicting the samples of Jewish heritage preserved in the National Museum. Jews of Georgia within “European Days of Cultural Heritage” organized an event dedicated to the “European Days of Jewish Culture”. The organizers set up several conferences presented by different speakers: Prof. Marine Solomonishvili, President of the LEA International Foundation, Prof. Givi Gambashidze (Director of the Jewish Museum), Prof. Shalva Tsitsuashvili (guest from Israel, former Director of Jewish Museum). The event was attended by students and professors of International Relations, History, Oriental Studies, Holocaust and Hebrew of Georgian Higher Educational Institutions. The ceremony was broadcast in leading TV channels. Participants of the event asked Marine Solomonishvili, as a coordinator EDJC/AEPJ, to develop a permanent center to promote more active work for the EDJC and the European Routes of Jewish Heritage. Finally, the visitors thanked Ms. Marine Solomonishvili and Mr.Givi Gambashidze for a wonderful evening. A total of 8 activities in 1 city attracting about 680 visitors. Yiddish songs. In Überlingen, the Kulturkiste cultural association organized various activities. Marco Knueppel from Ueberlingen gave an introduction into the topic of Storytelling, “Stories from Jewish Life Worlds”. Knüppel gave a concise overview of the ‘ashkenasichen’ and the ‘Sephardic’ languages, the Yiddish and the Jewish Spanish from Antiquity through the Middle Ages to the 20th Century. In the afternoon, Kulturkiste offered conferences, concerts and documentaries: “Journey to Yiddish Land”, “Jewish Life in the Middle Ages”, “Viehjud Levi”, etc. In Attenweilert Marlis Glaser organised 3 lecture led by Rabbi Ruven Bar Ephraim. Moreover the singers Annemieke Cantor and Nuno Miranda sang and played Hebrew and Sephardic songs from several European countries. About 100 visitors attended the event, resulting in very positive press reports. A total of 161 activities in 87 cities, attracting 12200 visitors. about Jews, The Jewish Community of Athens hosted visits from public and private junior high schools, involving high school and university students and their teachers/professors. The visits were led by our Rabbi and the members of the Welcoming Committee, which included tours of the two Synagogues, Holocaust memorial and the Greek Righteous among the Nations memorial; a brief history of our community and the monuments as well as some explanations about Judaism at large, followed by an engaging question and answer discussion. In 2017, they hosted 650 students and 130 educators; each visiting class had approximately 40 students. On the other hand, The Jewish Museum of Thessaloniki had an ‘open doors’ day, extending beyond the Museum itself to include the Monastirioton and Yad le-Zikaron synagogues. A total of 2 activities in 2 cities, attracting about 200 visitors. the present Jewish life in Budapest, and it also included synagogues and other places where access is usually restricted. A total of 2 activities in one city, attracting a total of 50 visitors. looks at migratory journeys, antisemitism, survival and the effects on a family through time. Members of the community shared their family story of leaving Eastern Europe (often Lithuania) and their arrival in Ireland in a discussion following the film. A total of 2 activities in one city, attracting a total of 90 visitors. and the infamous deportation camp at Fossoli. In Cortemaggiore, at the municipal theater, lectures and debates took place. In Finale Emilia, guided tours through the former ghetto attracted an excited public. In Fiorenzuola d’Arda, the cemetery opened its doors and the exhibition, curated by Italia Nostra association, was staged. In Florence’s synagogue’s gardens, activities started in the morning and included various lectures, guided tours and activities for children. In Pisa, a guided tour of the synagogue and cemetery were widely appreciated. In Pitigliano, the synagogue, ancient ghetto and cemetery were open all day, hosting guided tours. During the whole day, visitors could enjoy kosher food and wine. Finally a klezmer concert took place. In Viareggio, the synagogue opened its doors and hosted various guided visits. On the European Days of Jewish Culture Riga Museum “Jews in Latvia” invited all interested to participate in a free walking tour through the center of Riga, including the museum, with the focus on Jewish stories that took place in the neighbourhood. During the tours, guests learned more about the synagogues in Riga, Riga Ghetto, Old Jewish Cemetery and other sites associated with Jewish history un Riga. Tours were in Latvian and Russian languages. More than 20 Lithuanian cities and towns took part in European Days of Jewish Culture from September 2nd to the 9th with tours, lectures, concerts, exhibits, conferences and other events. attended one such event at the Plungė Public Library. Saulė Gymnasium Tolerance Center students began the event with a violin concert and readings from Holocaust survivor Maša Rolnik’s autobiography. Rolnik was born in Plungė. A specialist from Plungė’s Tourist Information Center presented a new Jewish tourism itinerary in Plungė, and the publication “On the Jewish Streets of Plungė”, which outlined in both English and Lithuanian a 3 kilometer route through the town where buildings which once belonged to the Jewish community, statues and other sites have been marked with signs. Eugenijus Bunka greeted the audience with the upcoming Jewish new year and gave a presentation on world famous Jewish figures with roots in Plungė. Z. Paulauskaitė spoke about daily life in the town before the war and Lithuanian-Jewish relations. From the many stories she’s collected from locals, she chose to read the one from Juzefa. Tolerance Center director J. Mažuknė spoke next and presented memory stones (Stolpersteine, “stumbling stones”), small commemorative blocks placed in sidewalks and streets with the names of Nazi victims. The high attendance rates of these events and willing participation of regional museums and other cultural institutions in Lithuania made European Jewish Culture days 2018 both an enlightening and bonding event for local communities. ligion” by the Rabbi Alexander Grodensky, a concert by Samuel Adler, Paul Arma, Michael Nyman, Philip Glass and Lowell Liebermann and a lecture titled “Stories in a Jewish family” from the book “Rafi, Tamar and me” by Mireille Cukier-Jakubowicz. Furthermore, various activities were ongoing throughout the day. A total of 6 activities, attracting around 126 visitors. musicians, flutist Eleonore Pameijer and violonist Ursula Schoch. They gave a lecture about their foundation: www.forbiddenmusicregained.org which has as its aim: to bring back the music of wellknown Jewish composers who had been persecuted by the nazis. After the lecture they played twice a concert of these mostly unknown but brilliant composers. More than 1000 visitors came to the house. Gassan Diamonds was visited by 350 people coming especially for the Day of Jewish Heritage. They were guided through the famous Diamond factory and could see how diamonds are worked on. Cemetery Zeeburg, the only old Jewish cemetery within the city walls of Amsterdam, which is being kept up by young Jewish, Muslim and Christian people, was very well visited by 675 people. Uilenburge synagogue plus lecture by Karel Baracs. Not only is the renovated old synagogue worthwhile but especially the storyteller Karel Baracs who explained how Jewish children were saved in the war by the heroic behaviour of nurses and a school director. A fascinating story. Visited by 100 people. The Jewish cemetery in Overveen, about half an hour from Amsterdam, was visited by 218 people much more than other years. The Portuguese Jewish cemetery in Ouderkerk along the river Amstel was very well visited by 500 people. The very old graves of the 17th century are highly interesting. In the Hague, which had its manifestation on September 2nd, there was a fantastic Jewish cabaret, called cabaret Kwatch, with songs and jokes. The hall was totally full, giving place to about 220 people. North and Eastern part of The Netherlands: The story of the exodus of the Jews was drawn on tableware in beautiful colours and in a modern way by the American artist Pete Silverstein. There was a story about the exodus. In the afternoon there was Klezmer music. The small synagogue was visited by 64 people. In the former synagogue of Winsum there were surprisingly many visitors (95) to this small former synagogue. The story was told by Inge Wallage who grew up in Winsum and who spoke about her father’s writing shortly after the war, called: Childrens’ tears, now and in the future”. The children of the family who had hidden her father came also and met the daughter Inge for the first time. It was an emotional happening. In the afternoon there was music played by the Klezmergroep Aheym; 4 enthusiastic musicians who played Balkan and Klezmer music. The former tiny small Jewish school tells the story of the local history of thee Jews living in these surroundings (Westerkwartier and Noordenveld). There were only 8 visitors this year. In Groningen the Jewish Heritage Day was combined with the opening of the exhibition Aleph Beth about the Jewish Alphabet. The exhibition was opened by Prof. Bekker and was well visited. A wonderful storyteller from Groningen was Nico Rost. He wrote a book, titled “The friends of my father” about the life of the Jewish community in Groningen before the war. After his story a guided walk was organized through the former Jewish neighbourhood of Goningen. Later on in the program the son of the Jewish poet Lex Gans (born in 1916 in Grijpskerk) spoke about his father’s imprisonment as a Jew in Westerbork and his miraculous escape from there and his long journey by foot to a free Spain. 80 visitors came to the synagogue. At the old historic small synagogue of Bourtange there was an exhibition of Liesel Aussen. A documentary film was showed as well as her unique art, such as tea tableware. For the first time there were many visitors in Bourtange: 461 adults and 27 children. The beautiful and big synagogue, built by the famous DeBazel in Enschede was well visited by nearly 100 people. The old Jewish cemetery of Almelo was well visited by nearly 30 people. A total of 40 activities in 12 cities, attracting about 2200 visitors. in post war Norway, another lecture by Professor Øyvind Varkøy: Leonard Cohen - Mystic of Popular Culture (Øivind Varkøy is Professor of Music Education at the Norwegian School of Music and Professor II at OsloMet - The City University.) and a concert by Solveig Slettahjell, a vocalist, composer and copywriter. A total of 6 activities in 1 city, attracting about 150 visitors. laskie, participated in the EDJC for the first time, with two activities: 1) A guided tours in Polish about the history of museums in Tykocin 2) A performance titled “Tzemach”, performed by Malenki Theater, that cooperated with “HaBima”, The National Theatre of Israel. “Tzemach” is a biographical spectacle based on the script made by the director Michael Teplitski, about the founder of “HaBima”, The National Theatre of Israel. A total of 20 activities in 3 cities, attracting about 1050 visitors. was removed. In Cluj the event took place in collaboration with the Jewish Community of Cluj at the only synagogue “Templul Memorial alui Deportetilor”, which is used for the High Holidays and special days. “Assosiatia Siebenburgen Opera” Singers performed to an over flow audience of over 400 people. Most were non-Jews. In Moinesti a Guided Tour was organised, as well as an artistic program with Jewish prose and poetry, prepared with the support of a local school. The event was a performance and it was held by students from Tristan Tzara School, coordinated by Leolam volunteers. A total of 14 activities, attracting about 1000 visitors in 4 cities around Romania. ditional Ashkenazy Song (arrranged by Julija Bal), Tumbalalaika; Hassidic Traditional Song (arr:D.Faktori), Hava nagila; Giuseppe Verdi: Coro di schiavi Ebrei (from the opera Nabucco) Conductor: Vesna Kesić Krsmanović. The number of visitors was about one hundred. After the program, a reception followed in the Community Hall. The event was announced in the local media and the Novi Sad TV Channel broadcast an interview with the coordinator. A total of 6 activities, attracting about 1050 visitors in 1 city. tural heritage and the importance of its protection and preservation. The European Days of Jewish Culture 2018 started in Slovenia on the 1st of September and concluded on the 4th of October. Organisers of the EDCJ 2018 in Slovenia were: the Center of Jewish Cultural Heritage Synagogue Maribor (also the national coordinator of the project), Cultural Centre Narodni dom Maribor, Gallery-Museum Lendava, Jewish Cultural Centre Ljubljana, Kultprotur – Institute for Culture, Tourism and Promotion Gornja Radgona, Negova Castle, Lendava Student Club, Lendava Synagogue – Slovenian Holocaust Museum, Maribor Photographic Society, Maribor Theological Library, Mini Theatre Ljubljana, Pomurje Museum Murska Sobota and finally, the Theological Faculty of the University of Ljubljana Maribor Unit. The individual events of the EDJC 2018 in Slovenia were supported by the Municipality of Maribor, the Municipality of Lendava and the Israeli Embassy to Slovenia. A total of 15 activities, attracting about 971 visitors in six cities around Slovenia. Cemetery and the Historical Center of Plasencia. In Oviedo, the Beit Emunáh Synagogue (Fontán Street, 11) opened its doors to host an exhibition of books and a session of Jewish storytellers (from 12 to 14 hours). Tarazona, for its part, organized a guided tour of its Jewish quarter. In Palma de Mallorca, activities included a guided tour through the medieval Jewish quarter, a concert by Mazic Duo, a lecture, an open doors at the Jewish Community of the Balearic Islands, a tasting of Sephardic food and a cinema session. In Segovia, activities included two guided tours through the Jewish Quarter, a lecture, a workshop, a performance (a dramatized tour), a Sephardic music concert and a food tasting experience. Toledo organized a guided tour through the old Jewish Quarter, an activity for children and a lecture. In Valencia, two guided tours to the city’s Jewish heritage took place. As every year, the Havura congregation took charge of the organisation of the EDJC events, which were open to all citizens. A total of 135 activities in 30 cities and towns, attracting about 42,550 visitors. back Storytelling in Jewish life and education?”, and the last one called “Together for Sweden”, a Klezmer dance workshop. There was also a Standup comedy show. The Jewish Museum of Stockholm, in addition, staged an open doors day. A total of 8 activities, attracting about 250 visitors. Switzerland BASEL, BERN, ENDINGEN/LENGNAU, GENÈVE, LA CHAUX-DE-FONDS, LAUSANNE, ZÜRICH, BADEN. panel at the Communauté Libérale de Genève (GIL) was attended by 100 people, while the lunch beforehand attracted 60 people. In La Chaux-De-Fonds, 200 participants were impressed by the presentation of the Rabbi, Mr. Michle Margulies, at the newly renovated Synagogue. In Lausanne, nearly 200 people were delighted by the guided tour of the synagogue and the concert of the group Bendorim. In Zürich, the events encompassed an exhibition, a comedy show, a lecture, a panel, a concert as well as a film. All in all, the various events were well attended and successful. On the whole, the 19th European Day of Jewish Culture 2018 in Switzerland was a very successful event with 2.850 participants. We got a most positive feedback from all coordinators, who prepared their programs with a lot of dedication. A total of 42 activities in 8 cities, attracting 1550 visitors. The European Day of Jewish Culture was held on Sunday, October 14 at the Neve Shalom Synagogue and Culture Center and the Quinentennial Foundation Museum of Turkish Jews with more than 2100 participants. The cultural event took place with intense participation. Held in Turkey since 2001, and this year with the theme “Us With Stories”, the culture and traditions of the Jews living in Turkey were introduced. The culture of the Turkish Jewish community, living in the territory of Turkey for centuries, their traditions, their vanishing language Judeo-Espanyol (Ladino), melodies, concerts, documentary films, chats, exhibitions, stories and Sephardic dishes were introduced within a series of events within the framework of the “Us With Stories” theme. The main purpose of the day was to introduce the cultural and historical heritage of the Jews and to share their traditional music and arts with the people of their country. edge by presenting his two volume new book titled “Jewish Settlements in Thrace and Anatolia Throughout History “. the magical gates, from dream to truth, with her visitors along with her stories and music. Gilda Kohen baked delicious Sephardic dishes and gave valuable historical and gastronomic knowledge in her atelier “Let’s Cook Together: Samples from Sephardic Cuisine”. Şalom’s writer Bahar Feyzan chatted with the visitors through her first novel, “Passenger of Love”, a love story in the sunken ship Struma. Many visitors attended the event and got their books signed by her. There were also three documentary films in the day. Deniz Alphan’s “Lost Language, Lost Kitchen” documented the danger of extinction that Judeo Espanyol and Sephardic Cuisine are facing now. İlber Ortaylı, author Mario Levi and Karen G. Şarhon, the coordinator of ‘Center for the Study of Sephardic Culture’ along with other speakers contributed to the event with their views. Another documentary was “Kula 930” by Alberto Modiano, about a screenplay named Kula 930, written in the Ladino language and the only one that is played in this language. The play tells of the Kuledibi and Şişhane neighbourhood called Kula by the Jews and the life styles of those days. In another hall, Eytan İpeker’s film “Lacemaker” was shown. The documentary examines Balat’s mobile lace salesman Yasef Efendi, who struggles to keep up with the social changes in the late 1950’s. The vocalists Cenk Rofe and Ediz Bahar, along with Cefi Sağlamlar and İzzet Bana, with their band called “Estreyikas D’Estambol”, gave a fascinating concert in the Neve Şalom Synagogue. Sara Pardo gave a detailed presentation of an İzmir wedding. She explained all the customs and traditions, and the preparations done before and after the wedding. The ceremony, different from Istanbul weddings, attracted lots of visitors. The European Day of Jewish Culture successfully ended with a record participation of over 2 thousand people. The aim of this activity was to integrate all societies living in this land for more than 500 years, to establish dialogue and to enrich their knowledge. In the context of the day, children were also invited to participate in workshops with their families. In the workshop organized by Vivi Menase, children showed their creativity by pouring their stories into their handiworks. The participants were happy about the events, and asked to have such events planned more frequently. A total of 8 activities attracting about 1200 visitors. Center for Urban History of East Central Europe joined the European Days of Jewish Culture with a series of events popularizing Jewish heritage in Lviv (Ukraine). On September 2nd, in the Lviv City Hall, the ceremony to commemorate the Holocaust in Lviv took place. On this day, those who research and preserve Jewish heritage in the city and former Galicia were awarded symbolic glass synagogue keys. The inspiration for the ceremony was the art installation by a sculptor and researcher Rachel Stevens, with the 75 glass replicas of a synagogue key. The installation gave the name to the exhibition “A Key to the City”. The ceremony “A Key to the City: Reclaiming the Memory of the Past” launched the commemorative events for the 75th anniversary of the liquidation of the Ghetto and the Janowska Concentration Camp in Lviv, which took place on the same day. These events were held in different locations of the city, and they were part of the yearlong program “Lwów, ‫גרעבמעל‬‎, Львів, Lemberg’ 43: The City that Did (not) Survive”. During the European Days of Jewish Culture, the Center for Urban History also organized series of city walks (September 4, 6) which explained about the experiences of those who were hiding and survived the Holocaust as children in Lviv. The overall amount of visitors to those events are an estimated 200 people. The program and commemoration events united several organizers and partners (Memorial Museum of Totalitarian Regimes “Territory of Terror”, Center for Urban History, Charity Fund Hesed-Arieh, Lviv Organ and Chamber Music Concert Hall, Charity fund B’nai B’rith “Leopolis”, Sholem Aleichem Jewish Culture Society in Lviv, Rohatyn Jewish Heritage) with the support of the Lviv City Council. In Rivne, the Center for Studies of Memory Policy and Public History participated in the EDJC for the first time, with an International Academic Conference titled “Jews in the Ethnic Mosaic of the Ukrainian Lands”. A total of 8 activities in 2 cities, attracting 670 visitors. This year, the first couple of weeks of B’nai B’rith UK’s 18th annual European Days of Jewish Culture and Heritage were once again very successful, with a wide range of very lively and well attended events, where many of the synagogues and organisations following this year’s theme of ‘Storytelling’ held open days, talks, walks and exhibitions. B’nai B’rith UK were especially delighted this year to welcome the National Trust on board, with 8 of its properties across the UK holding events, exhibitions and talks on specifically Jewish themes to mark this year’s heritage days. The Jewish Museum held a family day for all ages, with a variety of interactive storytelling and puppet workshops and craft activities, focusing on stories associated with Jewish folklore and legends. 20 people attended and the museum was very happy with the event. The Jewish Music Institute’s ‘Klezmer in the Park’ reported a great turnout of 5,000 people on a beautifully hot day. They all enjoyed delicious Kosher food, socialised and listened to a wide variety of wonderful Klezmer music. JMI reported audiences younger than ever, with many in their 30s, 40s and 50s. Audience members even said that the music was the best they’d ever experienced! Members from various B’nai B’rith Lodges across London made up the packed audience for a fascinating film presentation introduced by Martin Aaron, Vice-President of First Lodge of England, on ‘The Art Heist’, the story of the theft by the Nazis of valuable art from all over Europe, which they had hidden in caves deep underground in Germany and its subsequent discovery after the War by Allied art experts. A second film focused on the story of ‘The Woman of Gold’ by Klimt and the struggle by its owner Maria Altmann, supported by her American nephew lawyer, to reclaim what was rightfully hers. The Jewish Historical Society of England organised a guided walk around the historic southern quarter of Islington, including Clerkenwell. No specifically Jewish built heritage remains, but the streets are evocative of the 18th and early 19th centuries, when the area was home to a substantial Jewish population. Petra Laidlaw of the JHSE reported that it went well, with 15 attendees, 20% of whom were not Jewish. B’nai B’rith UK’s own First Unity Lodge reported a very healthy attendance of 30 people to their talk. As part of their ‘Life Histories’ series of talks, Holocaust survivor Marianne Summerfield talked about her family’s experiences during the Holocaust, which was well received. She gives this talk regularly, both in the UK and in Germany. An illustrated and historical walking tour of Bangor’s Jewish history was led by experienced guide, Gareth Roberts of Menter Fachwen, an organisation that facilitates and supports the inclusion of people with a disability into all aspects of community life, assisted by Professor Nathan Abrams, expert in Jewish history, at Bangor University. The walk was bilingual in Welsh and English. Professor Abrams reported that around 31 adults and 11 children attended. He had promoted the event on social media to his 10,000 followers. Cheltenham Synagogue held a very successful open day and a separate talk by Dr Geoffrey Moss entitled ‘Psychological insights from Bible stories’, an exploration of psychological principles from Bible stories and how modern psychology reveals Judaic principles within the stories. Over 120 visitors attended the open day, 95% of whom were not Jewish. They were mainly fairly local but also came from London, Liverpool, Inverness and the USA and the talk by Dr Moss was attended by 30 people and received glowing feedback! The Salomons Estate (Broomhill) held an open day and talk about the history of this beautiful property, which was attended by over 70 people, 80% of whom weren’t Jewish. It was the country home of the Salomons family: David, the first Jewish Lord Mayor of London, and David Lionel, pioneer of electricity and motor transport. The building was designed by Decimus Burton in 1850 and sits in 32 acres of picturesque grounds. 2019 subject matter: 20th Anniversary of the European Day of Jewish Culture SEPTEMBER 1, 2019 The theme chosen for this year’s European Day of Jewish Culture’s edition, is the 20th anniversary of the event itself. Due to this historical date, we believe that this should be the axis of this years EDJC. The commemorations of the 20th Anniversary of the EDJC will take place throughout Europe from September, 1th 2019. Twenty years ago, the European Days of Jewish Culture was born to combat collective forgetfulness and to dignify European Jewish heritage. This year celebrates its 20th edition. The fundamental objective of this European wide event is to highlight the diversity and richness of Judaism, with the firm intention of promoting dialogue, recognition and exchange through conferences, concerts, performances, guided tours and other activities, which take place simultaneously throughout the continent. In this year’s edition the graphic image and the title which will unite and give coherence to the EDJC will be the 20th anniversary itself to which you can add your subject proposal. The date will be maintained, as usual, on the first Sunday of September, in this case, on September 1st. Of course, this date marks the kick off of the Day, but there is complete freedom to schedule on the dates you consider appropriate. We hope that this proposal is valid for all, and that it creates a broad enough framework for all activity proposals to be included.